Lewis Hamilton will start on pole position for the tenth time this season after finishing first in qualifying at the Brazilian Grand Prix on Saturday (10th November), as Sebastian Vettel broke the scales while his car was being weighed. 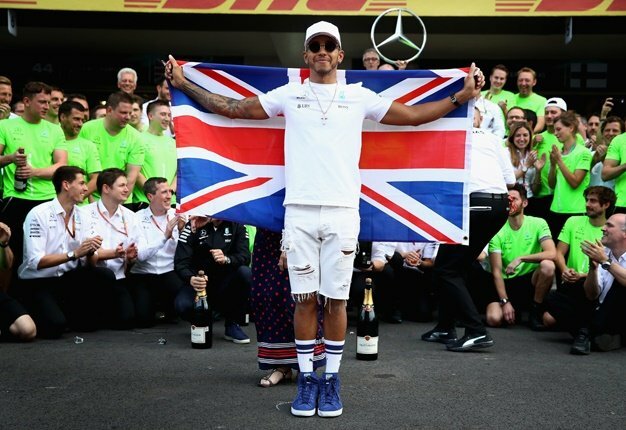 Record-breaking Hamilton's 10th pole of the season also marked Mercedes' 100th in Formula One on Saturday when he dominated a rain-threatened qualifying session for Sunday's Brazilian Grand Prix. The new five-time world champion clocked a track record best lap in 1min7.281 seconds on his second run in the final session to boost his hopes of a rare Interlagos victory and Mercedes bid for a fifth straight teams' title. I'm a 38 year old woman looking to meet men between the ages of 38 and 45.